Anyway whenever it happened, I have followed and succumbed to all the denim trends growing up - skinny, drainpipes, flared, wide-legged, cropped, mom jeans, tapered, straight-legged. You name it, I’ve worn it. (And made a lot of mistakes along the way.) Black, all the blues, white, pink, cream, yellow. 90s inspired acid wash (from my East London, Dalston days) and of course vintage… There are a few things that I’ve learnt along the way, so I’ve put together my top tips when wearing jeans and my edit of the high to low brands. Although I will say, it is worth investing in a really good pair of jeans as they will enhance your body shape - particularly your peach (and who doesn’t want that..) and last for years. 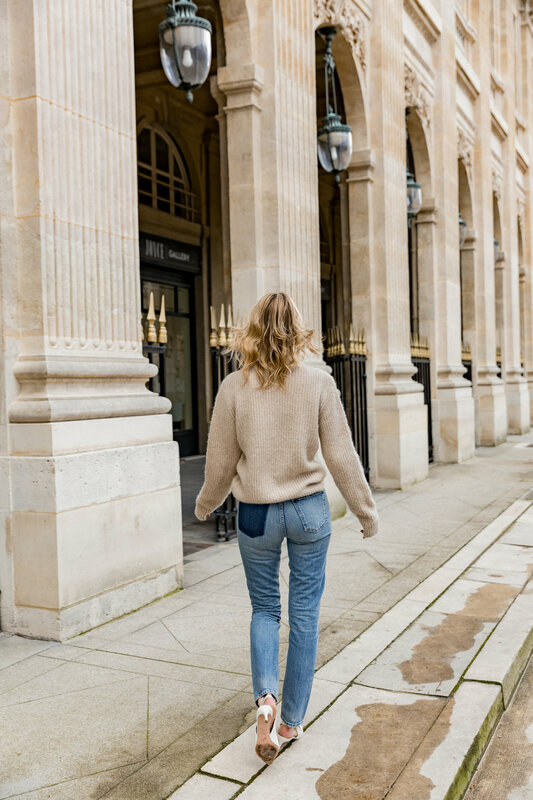 My current favourite derriere-enhancing styles are the Levis Wedgie fit and Citizens of Humanity Charlotte High Rise Straight Jeans (featured in the photos). If you’re on the short side avoid cropped styles (same goes for trousers) they will cut your legs in half and make you look shorter!